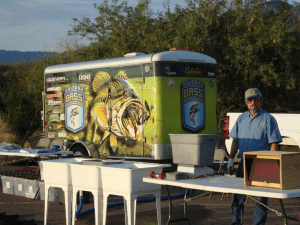 Our purpose is to stimulate public awareness of bass fishing as a major sport in Arizona and improve the skills of our members. One such way is to improve our skill as bass anglers is through fellowship and friendly exchange of expert bass-catching techniques and ideas. Additionally, we exist to promote and encourage youth fishing and a love of this great recreation.